Executive producer of my show n senior journalist in TV9 Abhijit Kamble too resigned https://t.co/0IxAmxzN5A wishes for your future, Abhjit. 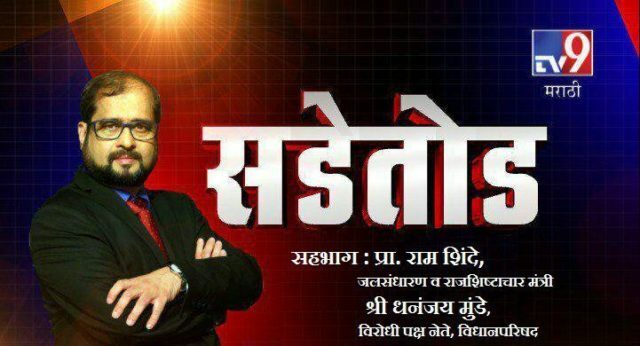 Just heard: @waglenikhil prime time show, the highest viewed on Marathi news tv, stopped on TV 9 overnight! Why? From 2014 to 2017. Same pattern.They want us to shut up n go away.They abuse, attack, ridicule us. But we fight n finally win! Previous articleRSS को ख़तरा बताते मधु लिमये और डॉ.लोहिया के ‘ट्रायल’ की कहानी ! सर तुमच्या पत्रकारीतेची आज खुप गरज आहे. 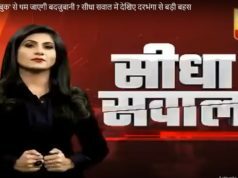 आपन you tube चैनल सुरु करवा. आज बहुतेक प्रसार माध्यमे विकल गेली आहेत. 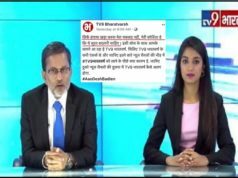 तुमचा सडे तोड़ शो आणि ndtv हे ठीक आहे.आज लोकशाहिचा चौथा खांब धोक्यात आहे. तुमच्या प्रामानीक पत्रकारीतेची आज खुप आवशक्यता आहे.